Happy New Year! Whenever January rolls around everyone seems to be making their resolutions for the new year. For me, I find goals to be so much simpler and a lot easier to achieve. So many of you along with family and friends always ask me for ways to look and feel better. 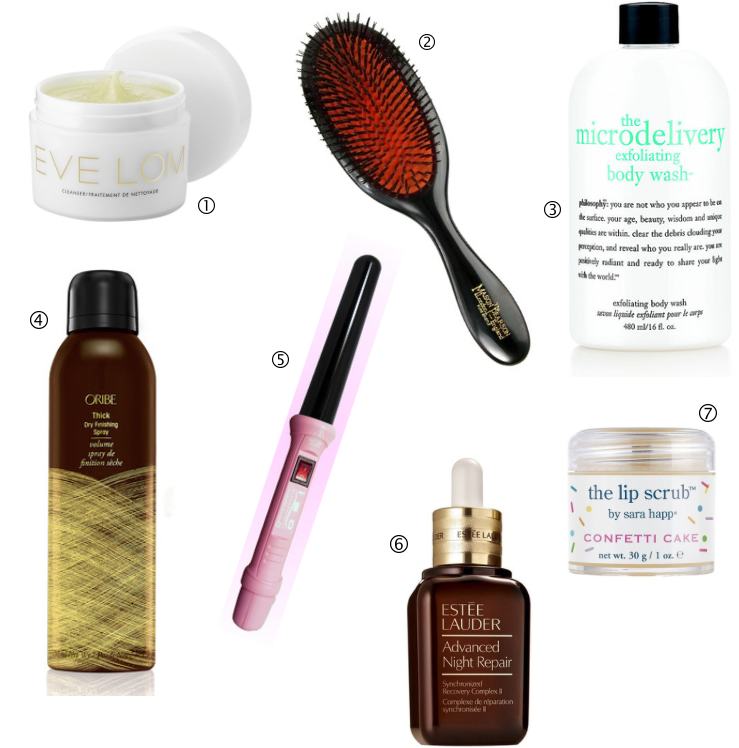 These ten beauty boosters are some of my favorite picks for getting gorgeous. Start each day fresh faced and flawless with this decedent cleanser by Eve Lom. While yes, it's bit pricey at the outlay, the things it does for your skin and the way it softens and smooths is beyond compare. And, it lasts forever. 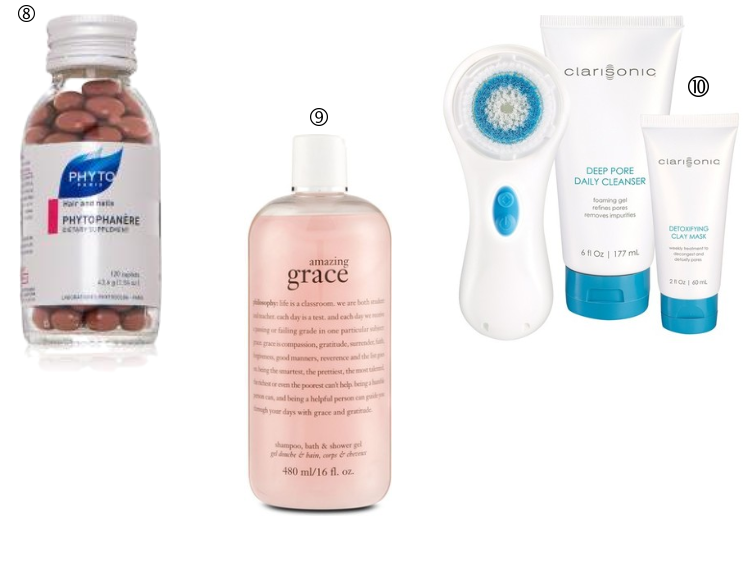 I always couple it with my tried and true absolute favorite tool, the Clarisonic. If you own it, you love it. If not, trust me, get one. Now. Your skin will thank you and never be the same. This curling wand gives my hair the perfect amount of soft, bouncy curves with shine for days. The fact that it doesn't have a clip on it was tricky at first but so worth the learning curve. Be sure to become best friends with the heat glove it comes with. It will save you from all those painful fingertip burns, haha. These hair vitamin supplements will keep you healthy and your hair lush. I especially love how quickly they make your locks grow longer. Finally, while it's nothing new for me, if you are looking for a beautiful, feminine fragrance that you can't live without give this one from philosophy a try. I hope everyone's new year is off to a beautiful start. Thanks for stopping by!